Happy Weekend to you! I am so glad this week is over! The busiest week at work for me, so once again I apologize for being so quiet this week! I want to share with you a very SPECIAL DIY project. I typically don’t do a lot of Home DIY‘s however, when Michelle, a member of the Orillia Couchiching Jubliee House asked me to participate in the Bowls for Bed Fundraising event, I couldn’t resist. Couchiching Jubilee House is a housing program to help vulnerable women in the Orillia, ON region. 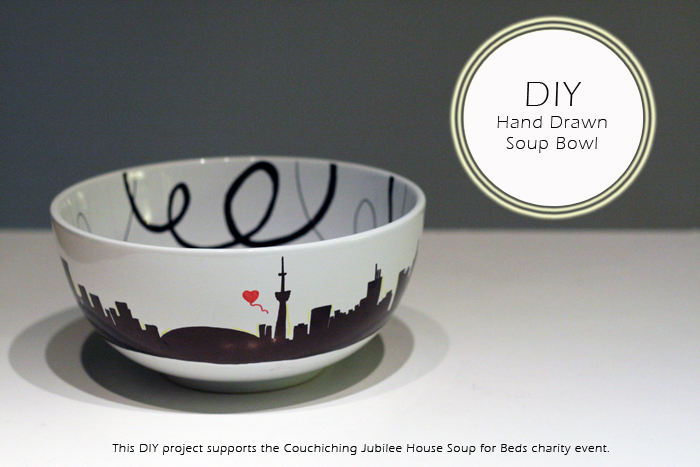 Their latest fundraiser – Bowls for Beds aims to raise at least $10,000 through a soup tasting event and the auctioning of hand drawn/painted soup bowls from local celebrities. I was very happy that Michelle thought of me and asked me to participate in this great cause and including my bowl in the upcoming live auction on April 28, 2013. 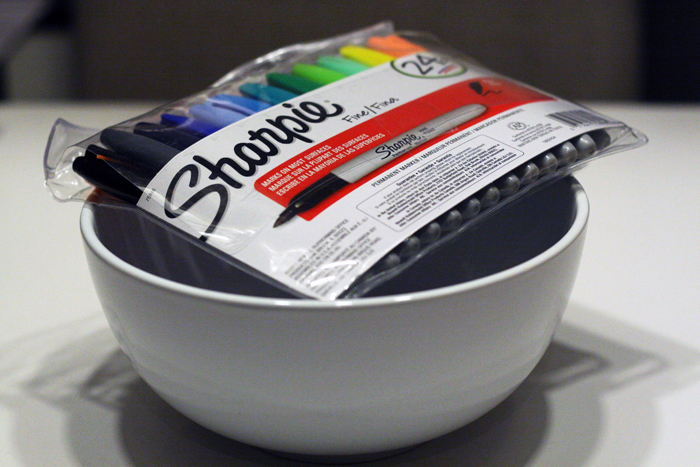 This DIY Project is SUPER EASY, only requires a bowl and a few sharpies (or ceramic food safe markers) and VOILA! 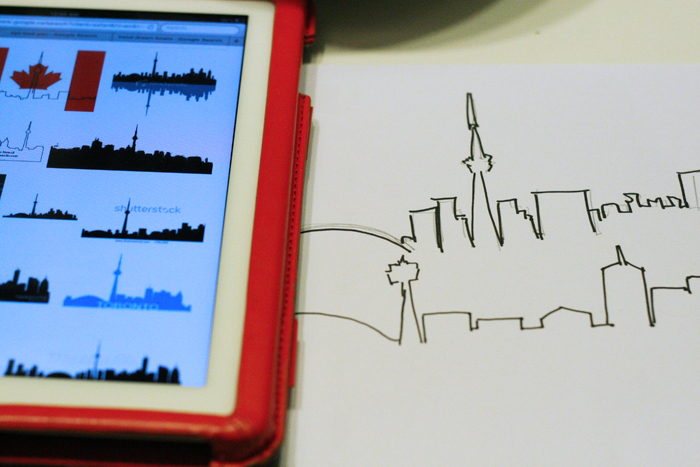 I decided to go with a TORONTO SKYLINE and pay tribute to this wonderful city. So many endless possibilities! 1. Have a design in mind and then practice on paper first. This way you will feel more comfortable with marking directly on the bowl. 2. Draw your design in sections by drawing the outline first and then filling in the color. Also try to draw a horizontal line across as you make your way around as a line to guide you. If you find that you’re not so steady, use masking tape to build a guideline. 3. 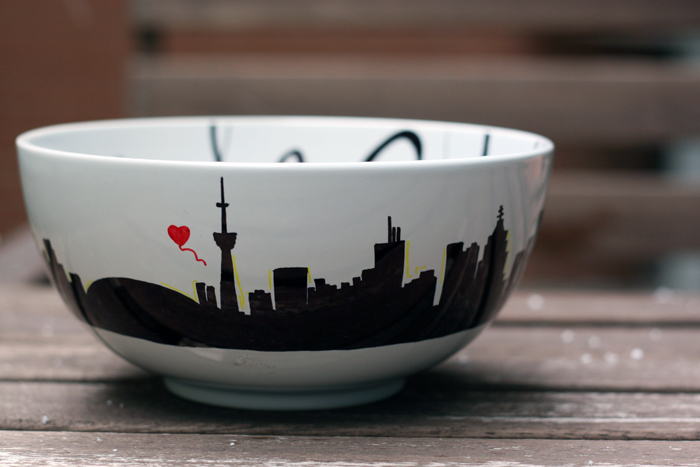 Consider decorating the inside of the bowl to make in more interesting! 4. IMPORTANT! Since I used regular Sharpie pens, this is NOT FOOD SAFE. The Jubilee House team is taking all the Soup Bowls and applying a FOOD SAFE Glaze and baking the bowls in high temperatures to make this Dinner Ready. If you want another option, purchase FOOD SAFE CERAMIC MARKERS for this project or take to your local ceramic shop to glaze and bake for safety reasons. I really enjoyed this DIY For a Good Cause and I think I’m going to do a few more DIY Home projects! What do you think of the results?! I’d love to hear from you, please share by commenting below. 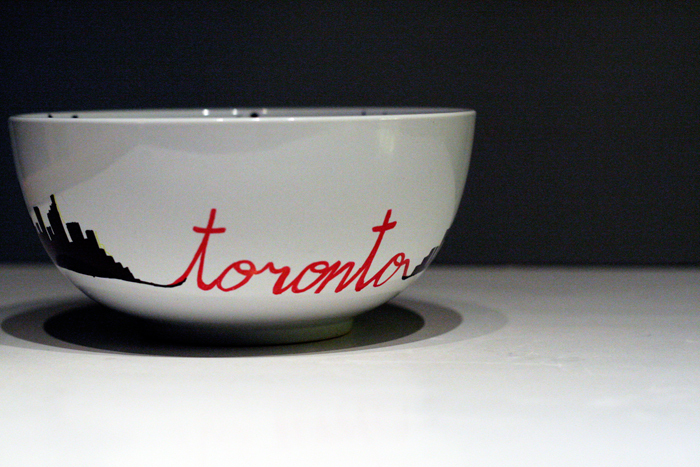 Tickets are $25 CDN each and includes a soup bowl to take home. Participate in a LIVE AUCTION for your chance to take a celebrity bowl (like mine) home! I really like the skyline theme. good idea! Wow, that’s so cute! 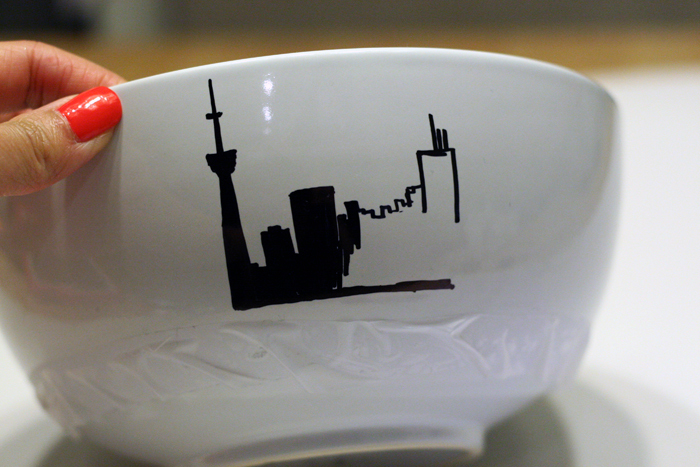 I love the skyline – you’re a very talented artist. 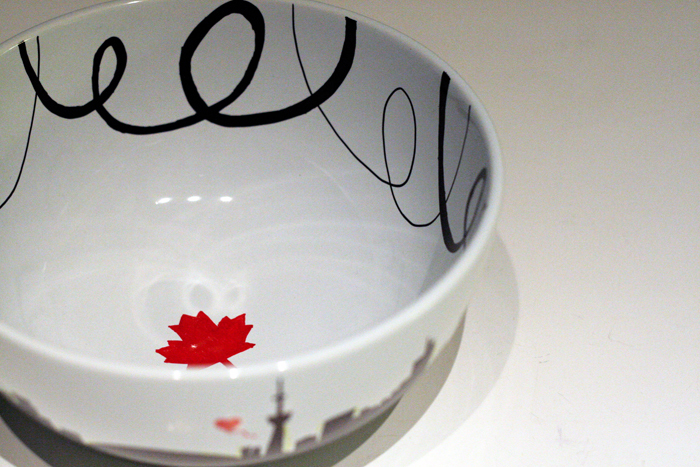 😉 And the Canadian flag inside the bowl was a nice touch as well. Beautiful work, great idea, and endless possibilities! Thank you for sharing your beautiful work and this tremendous idea. Good luck in the fundraiser! Sounds like a fabulously great cause. That is really nice!! I can see me doing tea mugs! !